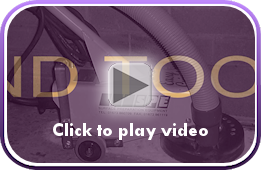 Angle grinders are subject to a multitude of uses in many small scale surface preparation tasks. SPE stocks a range of angle grinders that we have tested to meet our expectations in both performance and reliability. 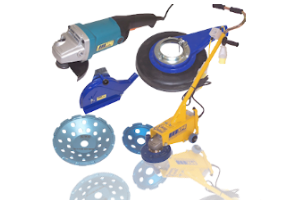 When coupled with the unique product range of accessories offered by SPE, the functionality of even 9" angle grinders can be extended - even trolley mounted. Our range of accessories extends to dust cowls and covers as well as a comprehensive range of grinding / cup discs and cutting discs.